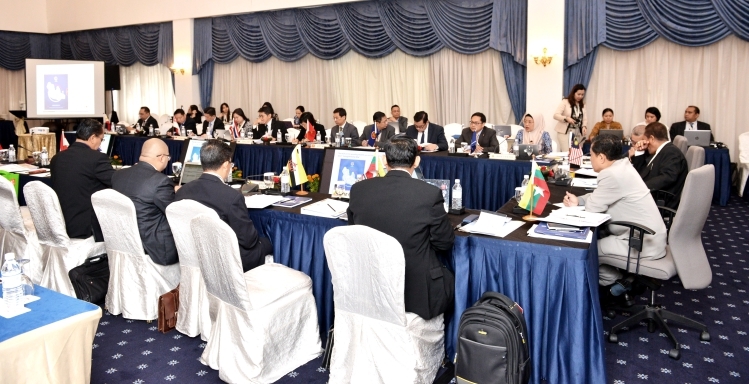 The latest series of meetings of the ASEAN Committee on Disaster Management (ACDM) and the Governing Board of the AHA Centre focused towards the continuing vision of ASEAN nations to become global leaders in disaster management. The meetings discussed a number of ongoing initiatives, as well as past achievements in disaster management, alongside the future disaster management plans for the ASEAN region. This integral series of meetings was officially opened by Malaysia’s Deputy Prime Minister, the Honourable Dato’ Seri Dr. Wan Azizah binti Wan Ismail, who commended ASEAN on its various achievements in disaster management, while also reiterating the work that still must be done. 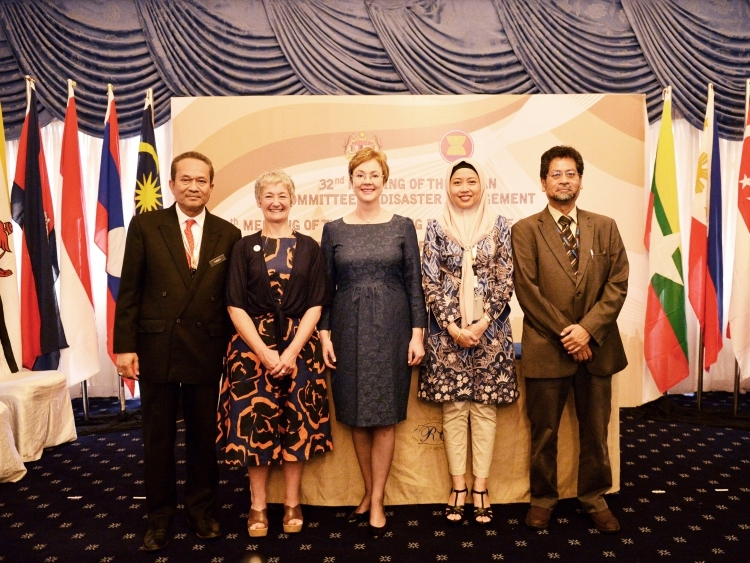 She highlighted particular concerns regarding the plight of women during disaster situations, calling on ASEAN nations to continue efforts to mainstream gender within disaster management efforts. Achievements highlighted by the Governing Board included the decision that the AHA Centre would provide humanitarian assistance support to the survivors of human-induced disasters. Throughout 2017, and continuing into 2018, the AHA Centre provided humanitarian assistance to displaced populations in Marawi, the Philippines and the Rakhine state, Myanmar. This evidenced the AHA Centre’s efforts to ‘go the extra mile’, as the original mandate of the AHA Centre focuses on providing assistance to victims of natural disasters. In this situation however, the AHA Centre recognised the need to be adaptable and flexible in recognition of the ever-evolving landscape and increasing complexity of disaster management in the region. 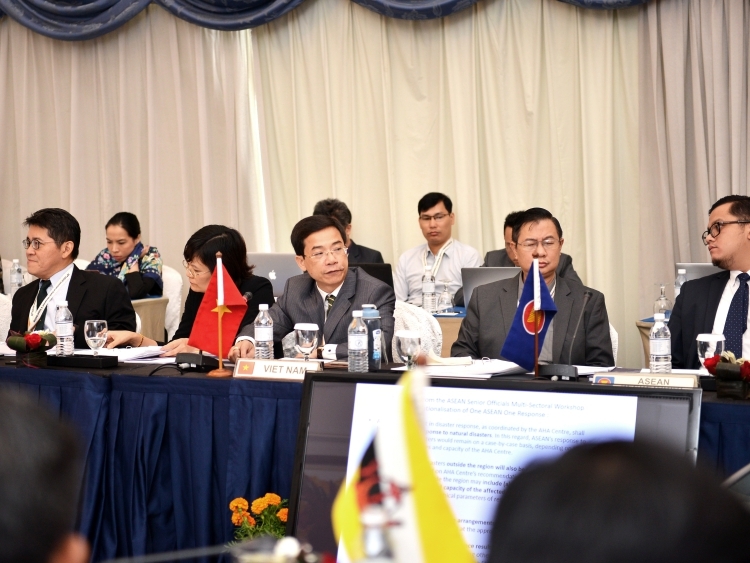 During the meeting, ASEAN nations also reaffirmed their commitment to support the operationalisation of One ASEAN One Response Declaration – signed in 2016 – that calls for an increase in speed, scale and solidarity of ASEAN collective response to major disaster within and outside the ASEAN region. 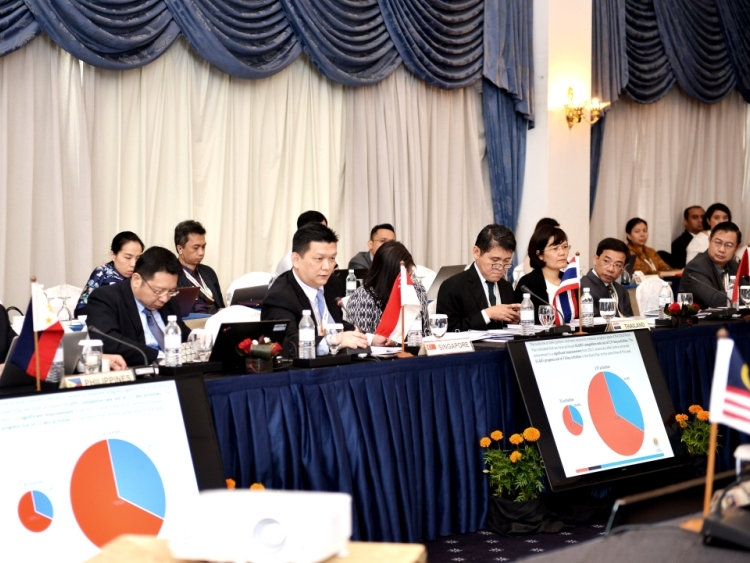 The AHA Centre, as the operational engine of the ASEAN Agreement on Disaster Management and Emergency Response (AADMER), has taken a number of initiatives to further enhance the operationalisation of the Declaration, including the formulation of the ASEAN Joint Disaster Response Plan (AJDRP). Another highlight from the meetings were the various initiatives to improve the capacity of the disaster professionals in the region through various capacity building activities, including the ASEAN Emergency Response and Assessment Team (ASEAN-ERAT) training, as well as the AHA Centre Executive (ACE) Programme. In addition to this, ASEAN is currently working to kick-start the ASEAN Standards and Certification for Experts in Disaster Management (ASCEND). Through this programme, ASEAN aims to set common standards and qualifications for disaster management professionals, as well as develop a standard training curriculum. 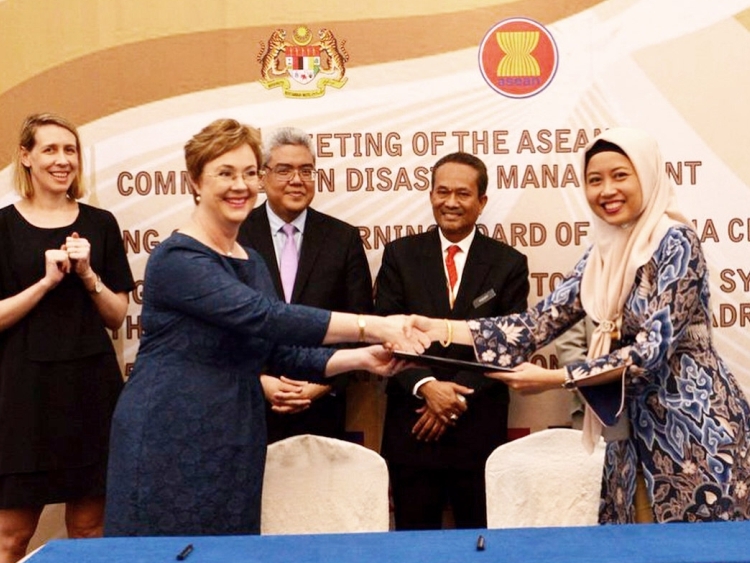 By agreeing on common standards, ASEAN will ensure the availability of qualified disaster management professionals in the region, further supporting the vision of ASEAN becoming a global leader in disaster management. On the side-lines of the event, the Governing Board also witnessed the signing of three Memoranda of Intent (MoI) between the AHA Centre and key strategic partners – namely MERCY Malaysia, RedR Australia and MapAction. These MoI signings signify the commitment between AHA Centre and the partners to further strengthen, compliment and support each other in areas of mutual interest on disaster management. Several areas covered under the MoIs include knowledge exchange and management, innovation and joint fundraising efforts, disaster monitoring and analysis, and recovery. All of these were discussed during the 32nd Meeting of the ACDM and other related meetings that took place from the 26th to the 28th of June 2018, in Kuala Lumpur, Malaysia. This also included the 8th Meeting of the Governing Board of the AHA Centre on the 27th of June, the 9th Meeting of the Joint Task Force to Promote Synergy Other Relevant ASEAN Bodies on Humanitarian Assistance and Disaster Relief (HADR), and the 5th ASEAN Agreement on Disaster Management and Emergency Response (AADMER) Partnership Conference. During this event, the AHA Centre also presented its 2017 Annual Report, which documents the progress, achievements, and plans for further enhancement of the roles and responsibility of the AHA Centre.